The Peace River ecosystem fights climate change. It absorbs carbon and protects us from climate change’s effects. Climate change, and the resulting severe weather and natural disasters, justifiably have most people concerned. What many BC residents don’t know is that the Peace River valley plays a significant, positive role to fight climate change and help us deal with its effects. The Peace River valley’s forests take in carbon and release oxygen. If a forest is cut down, those trees will release carbon back into the atmosphere. Because the Peace River valley is an intact ecosystem, its trees not only help to slow down the onslaught of climate change; all the other vegetation plays a role. In other words, functioning, established forests like the Peace River valley are very efficient carbon captures. The older forests absorb more carbon and produce more oxygen than BC’s newer or replanted forests. 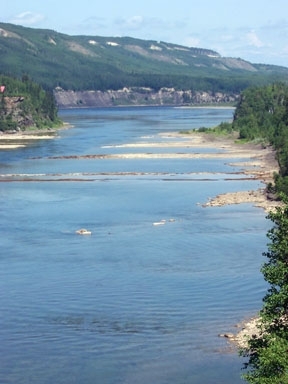 As our climate changes around us, the Peace River’s intact ecosystem helps to mitigate, or reduce the intensity and severity, of climate changes. shelters its inhabitants from harm.